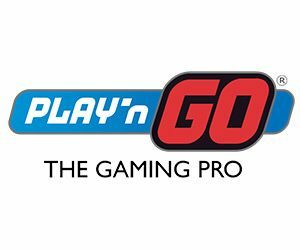 After the immense success of Sweet Academy, Play’n GO is happy to introduce yet another cluster paid slot. But this time around, the game has a completely different theme, and yet a volatility index that will appeal more to daredevils and high rollers. Indeed, Rise of Olympus Video Slot is a Greek mythology slot. And to win, you only need to pair three identical symbols, unlike other cluster paid slots. What’s more is that this game gives players the possibility to play three different types of Free Spins bonus with various features. But also to win huge multipliers as the consecutive winning combinations disappear from the game grid! To sum up, Rise of Olympus gives players the chance to win big not only when triggering the Free Spins bonus, but also in the base game! In fact, when you load the slot have a look on the left-hand side of the reel where you’ll notice a multiplier index and a shield. So, how to increase the multiplier? Well, it’s simple! Any winning combinations you make will appear on the rectangular below the multiplier. And each consecutive win will increase the multiplier too. The maximum multiplier you can win via this feature is 20x. But to reach the highest multiplier you’ll need to trigger the Free Spins bonus, which will cover a little bit below. After loading the game, you’ll undoubtedly notice a shield on the left-hand side of the reels. You’ll also notice that as you play the shield meter will fill-up every time you make a winning combination with a god symbol. Once you’ve fill-up the meter, you’ll unleash the wrath of the gods, and they’ll all perform their tricks one after the other to give you more winning combos! Rise of Olympus gives players the chance to pick three different types of Free Spins bonus after fully clearing the game grid. Of course, the three types of bonuses represent each god, and they all come with different features. But you should check the paytable to know more about them. Rise of Olympus Video Slot offers a very flexible and yet diverse gameplay to players because of the different gods you’ll see next to the reels in both the base game and in the Free Spins bonus. All and all this slot will appeal to the most experienced players, or to those who claim a casino bonus to have a longer casino session!